The response I got after my last end-of-year gear review column was entertaining: two emails telling me to cheer up, many readers asked why I was so crabby/irate/annoyed. A few others – alas, the more entertaining ones – are unpublishable for reasons you can easily guess. In 2013 (really the gear for 2014), line, rod and accessories manufacturers did good, but my main disappointment was the lack of vision displayed by many notable reel manufacturers: they just weren’t keeping up with the rest of the fly fishing industry. The gear arriving in time for 2015 was very different: in terms of pure quantity, barely a month went by without some gear manufacturer treating us to a product with intelligent improvements – or relevant new products altogether. As for reel manufacturers, they generally did good. 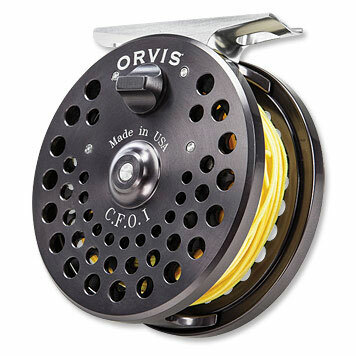 Case in point: Orvis trotted out their US-made CFO reel. I asked them to send me one for review and it’s the reel that I’ve used over and over throughout the last eight months. Light, impeccably machined and finished – and dependable. Not impressed yet? Check out the price. Couldn’t ask for more in a reel. Wearables is the category that has been upping its game at an impressive rate in the last three or four years. There are items to fit every budget, so no more excuses for being uncomfortable on the water. Everything from wading boots to beanies are lighter, feature better construction, and will keep you warmer (or cooler) than ever. Simms took foot comfort to a new level with the Rivertek 2 Boa boot. They’re built tougher than anything previously available and sport the now famous Boa cable lace system. 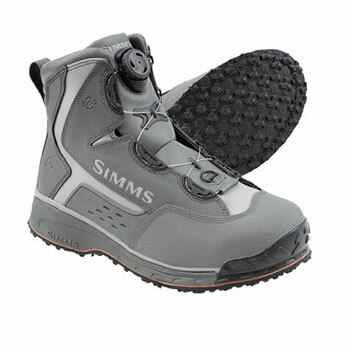 What Simms doesn’t shout loud (enough) about is the boot’s interior, which approaches ski-boot territory in terms of contouring, padding and resulting comfort. This year’s superstar boot, hands down. The current Simms catalog also includes locally made items like the Montana Techwool zip top. From sheep to shirt the garment is entirely US-made, a top-quality purchase you can feel doubly good about. Colorado-based Topo Designs has made quite a splash this year with remarkable clothes. They feature a good range of fishing-friendly wares made with top-tier fabrics and reinforced stitching. 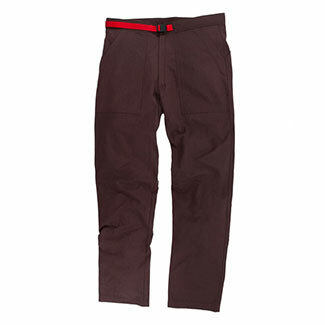 One of several standout items is the Mountain Pant (available as a short, too), which feature an integrated flat belt – very comfy – plus the most imaginative and arguably best pocket system I have ever seen. Wallet, keys, small-to-medium fly boxes and gadgets are all welcome. This is also a rare item in that it’s an ultra-fast drying cotton pant ( the secret’s in the weave). When it comes to fly lines, RIO remained out front the entire year, developing a range of lines and leaving no one unhappy – their spey-head category, in particular, was treated to a feast of new items. Another huge boost for the company was the addition of the ConnectCore feature (reduced stretch) in many of their lines, which I can easily see developing into an industry standard in the not-too-distant future. Their newly-issued Permit fly line has finally addressed that nagging inconsistency we’ve had to deal with for a long time: getting those weighted crab patterns to land without scaring off everything with fins. I just tested the new and improved taper, and it performs exceedingly well. 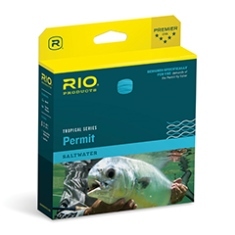 RIO’s Permit line incorporates every bit of tech at their disposal. Add that all up and you get a line that will make you want to improve your permit-spotting skills. I’ll wear a vest, or a sling pack, but I have a soft spot for back packs: they’re by far my favourite method of carrying gear. Unfortunately, most are far from ideal products due to the multitude of variables that can be overlooked, or over-done, while designing and producing items like this. One thing I’ve learned from speaking with many people on the water is that most of us don’t appreciate back packs with 32 different compartments; that’s what vests are for. 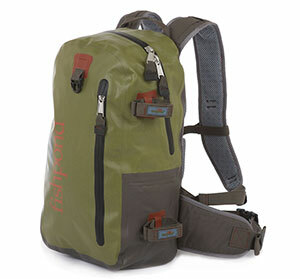 This year, Fishpond’s Westwater back pack cleared all of those hurdles with room to spare. It features a ballistic-grade exterior, simple and functional interior, wide shoulder straps, and excellent back support. Rod tube straps are of course included (it’s not a fishing back pack if it doesn’t have rod straps). Not satisfied yet? It’s partially made with recycled commercial fishing nets – and attractively priced. There was no shortage of accessories that appeared in 2014, either. 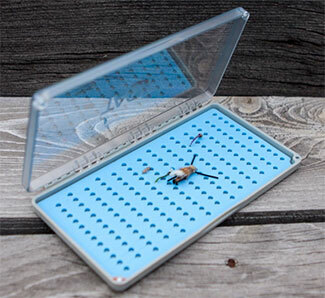 Top honours go to Tacky fly boxes with silicone insert, the biggest fly box innovation in years. If you’re partial to clear boxes (note that Tacky boxes feature shatterproof lids), these ones blow everything else out of the water. Another bright innovation: Fishpond’s Sushi Roll, made for those who use large streamers. No need for boxes, you can stuff one in any large pocket. Even rolled up, it allows for air circulation, so your streamers remain in fine shape – not counting abuse sustained from toothy fish. It’s also saltwater friendly. Enrico Puglisi continues to improve upon an already outstanding catalog. If fly fishing therapists existed, they’d be prescribing these flies as confidence boosters. Fish them (pay close attention to what they look and act like in the water), and you’ll know in short order that these flies are fish magnets. 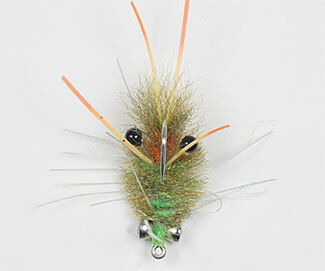 EP Flies has recently developed a new batch of saltwater patterns that I’m eagerly trying out over the winter months. Bonus: EP Flies features what is arguably the best Web site for fly shoppers. Cross-referencing and shopping are a snap. The website also includes tying materials. 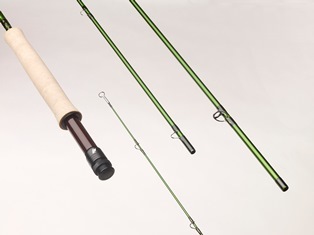 This year’s fly fishing ‘icon product’: the Sage ACCEL fly rod. You couldn’t keep a product like this a secret even if you wanted to. The ACCEL generated a lot of buzz, and for all the right reasons. Everyone I know who fished this rod instantly loved it. Features superb load, feel and build. All that hype? – totally justified. And a final kudos to companies that have employed their products to take a little stress off of the environment. 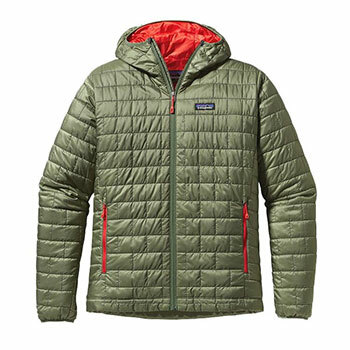 Patagonia grandfathered the concept of re-using discarded material and turning it into outstanding cold weather wearables with great success, as demonstrated in their Nano Puff line of jackets, vests and most recently, pants – all of which offer excellent heat retention, breathability and unequaled stowability. You can easily crunch down all three of these items and store them in a small backpack. It’s difficult to imagine cold-weather gear getting any lighter or more portable. Alongside Fishpond’s refabrication of discarded nylon commercial fishing nets, it’s further proof that environmental awareness can’t be separated from our sport.